The timing made perfect sense. The recession is digging in its heels, and Lehman Brothers and Merrill Lynch, two pillars of global finance, had just disappeared. September yanked “tough times” from cliche back to brutal reality. 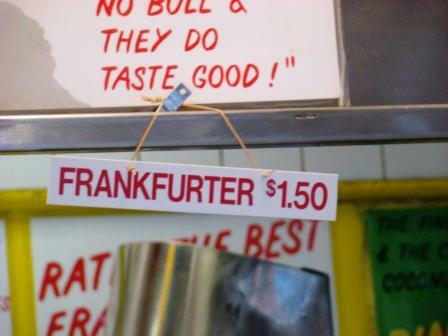 So, I don’t begrudge Gray’s Papaya its extra quarter. The lack of warning? That bugged me. I learned of the increase the hard way, at the point of sale. I had to fish through my backpack for an extra 50 cents while an impatient line formed behind me. Fortunately, I had the cash, so I was able to get my dogs and move on. 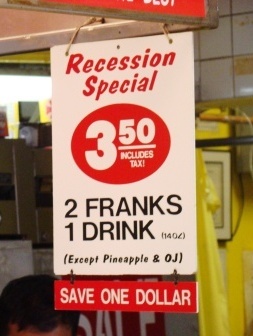 In my defense, while the change in prices had been posted, the “recession special” sign had not, and the savings was still listed as $1. The sign has since been updated. So, what’s the lesson in all this? 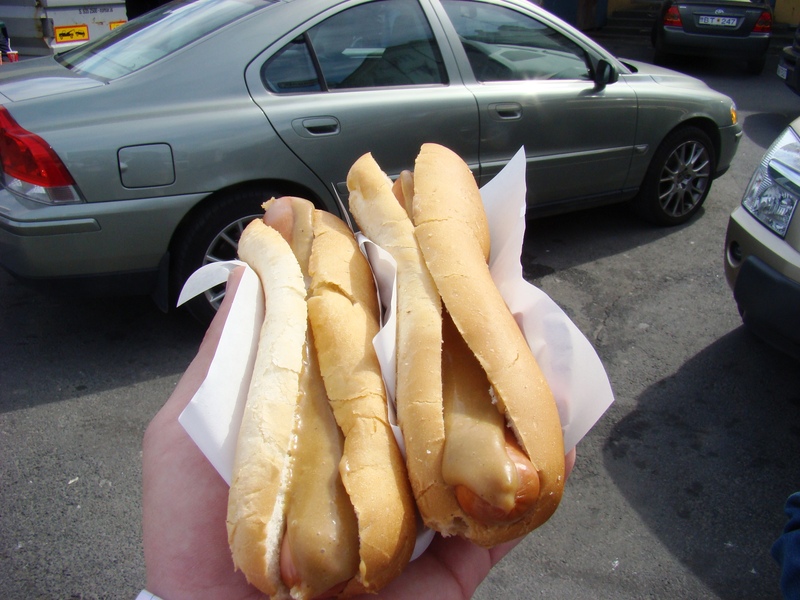 Well, aside from the prudence of carrying extra cash, hot dogs are a good investment. If you bought futures contracts on Gray’s Papaya hot dogs in 2004 (if only that were posible), your investment would be up 76 percent — with a compound annual growth rate (CAGR) of more than 15 percent! Try to beat that with the S&P 500!